Environmental campaigners are not being “honest” in their arguments against genetically modified (GM) crops, the former chief scientific adviser to the European Commission has said. 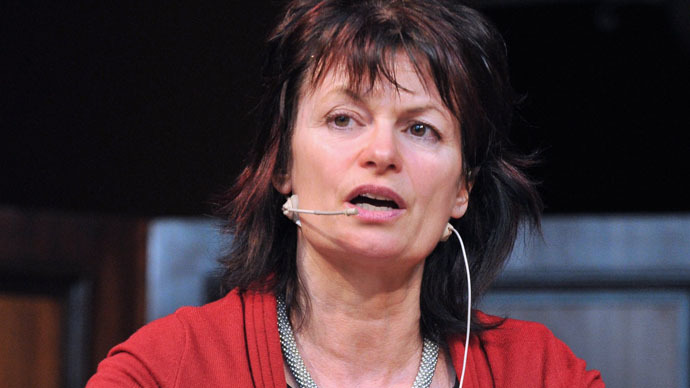 Professor Anne Glover said it is “very clear GM is safe,” accusing NGOs such as Greenpeace of skewing the evidence. Glover left her post in Brussels last November amid rumors she had been sacked by the European Commission’s (EC) incoming president Jean-Claude Juncker for her pro-GM stance. She denied the reports, saying her role was tied to the former EC president, José Manuel Barroso, and she intended to leave when his presidency ended. The EC effectively abolished the role of chief scientific adviser when they decided not to extend it after Glover’s departure. Her abrupt exit from the EC came months after a coalition of campaign groups, including Greenpeace, sent a letter to Juncker asking him to scrap the post. “If I look at their letter, and what they describe, because I've met with many of them, they know that simply it's not true what they talk about,” she said. “While the current CSA and her opinions were very present in the media, the nature of her advice to the president of the European Commission remains unknown,” it read. The letter, which was also signed by nine campaign groups, went on to accuse Glover of being “one-sided” in her discussion on GM crops. The international statement referred to in the letter was organized by Environmental Sciences Europe (ENSSER). It asserts there is no scientific consensus on the safety of GM and was signed by 313 scientists, physicians, academics and other experts from around the world in February 2015. Glover contends there is a consensus, however. Dr Doug Parr, Greenpeace UK’s scientific adviser, denied that GM technology was the reason why they called for the position to be scrapped. “The problem lay in how this role lacked transparency, concentrated too much influence into the hands of just one person, making them vulnerable to industry lobbying, and allowed political interference in a process which should be driven by science,” Parr said in a statement. “The fact that top EU officials seem to have got away with suppressing a key scientific paper warning of the risks of hormone-disrupting chemicals is proof that the system was deeply flawed,” he added.